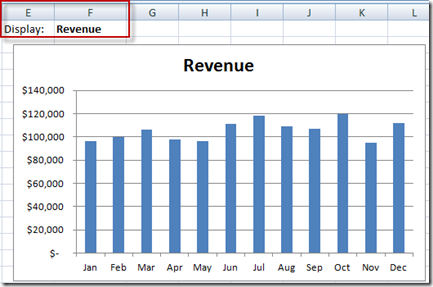 If you want to create a dynamic dashboard in Excel, I am sure you will want to use a picklist to change your data set at one time or another. Well, what if you had the following data and you wanted to create a chart that can let the users toggle between many different data sets? That way the don’t have to see all the data sets in the same chart or see 3 different charts? 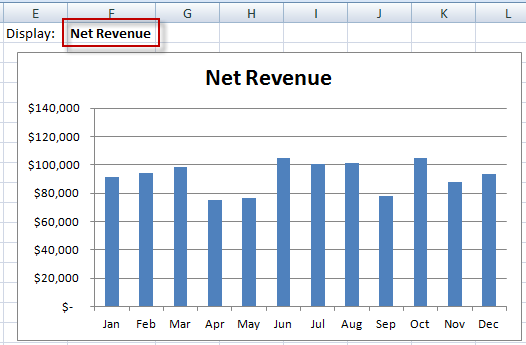 This technique will help you create dynamic dashboards, but FIRST, you need to to understand how to create a picklist in Excel. Have you every seen a picklist or drop-down menu in an Excel spreadsheet? It is not that uncommon. 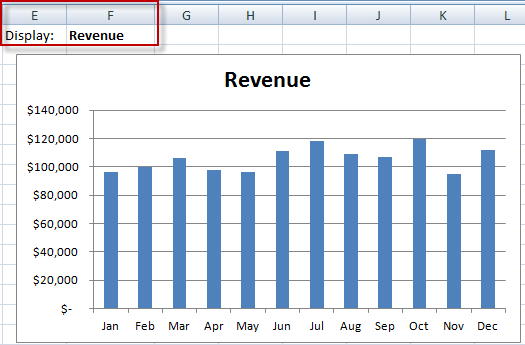 In fact, the same technique can be used in your Google spreadsheets as well. I recently had a client ask me how she could add a pick list to a Google document spreadsheet so that she could control the data input into the spreadsheet. Turns out that it is almost identical to the way that you create a pick list in a Microsoft Excel spreadsheet. Here is how. 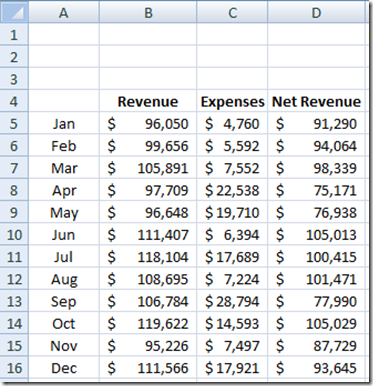 It is pretty simple, but you may not know it by the name that you see in the Excel Ribbons. 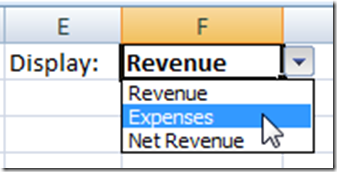 1) To create your Excel spreadsheet picklist, you first need to determine if you want to create a static list or if you want to create a list from a range in your spreadsheet. If you want to create your picklist from a range in your spreadsheet, you first need to type in each unique value in the spreadsheet. 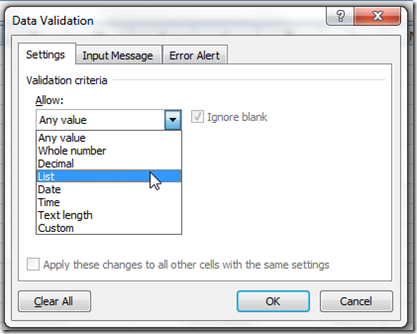 In my case I can do either one as the list is in my data set or I can just type it in to my data validation list. 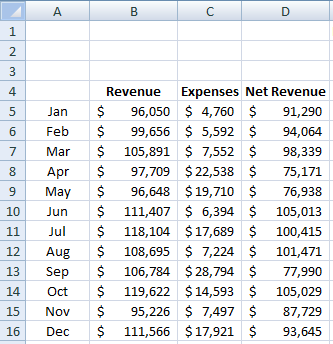 Most people just create a static list and that is fine as well, although the spreadsheet range list is much more flexible. 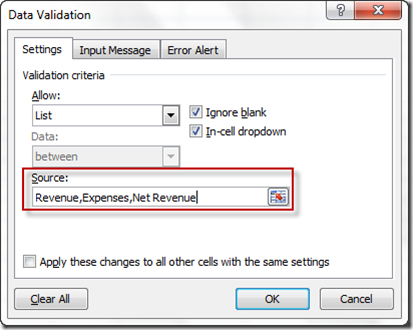 2) Now that you have determined where you want your list, you now need to assign it to a cell. 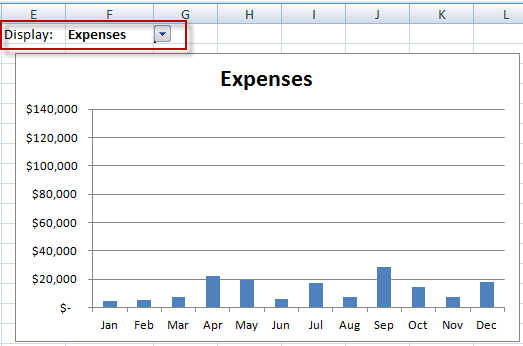 To do this, select the spreadsheet cell where you want the pick list to be displayed. 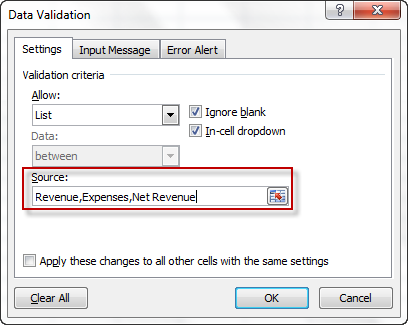 Once you do that, you will now see the Data Validation dialog box. that when you click on it, you will see your picklist of values that you set up in your data validation. Learning how to create your own pick lists is the first step in creating dynamic charts for your next dashboard. Also, don’t forget to sign up for my blog and YouTube channel so that you are sure to get the next post delivered directly to your inbox. 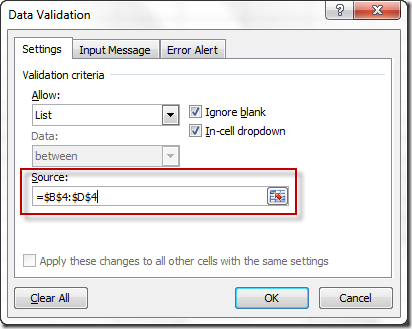 What if the recipient isn’t seeing the validation picklist? I did run into a similar problem when working in 2013. When I had a “Paste Link” view from another page, the page with the linked paste range wouldn’t show the drop down list icon unless you clicked in that area and then it would go away. 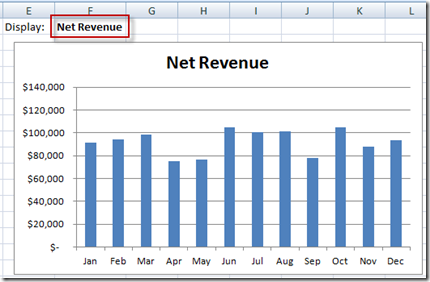 Are you using Excel 2013?